Whitehall in Palm Beach, Florida, even in a town of impressive mansions, still remains the ultimate mansion. 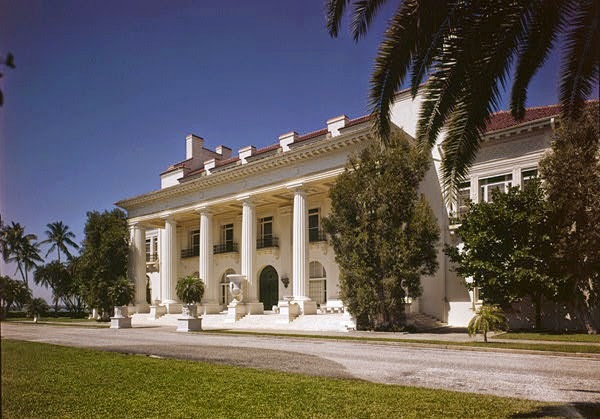 Built in 1902 by architects, Carrere & Hastings for millionaire Henry Flagler, the huge white mansion is supposedly haunted by Henry Flagler's third wife, Mary Lily. Please follow the links below to read the whole story and the history of Whitehall.